Hover over picture to see more information. Click on the picture to view bloggers site. Aminata Coote is a wife, mother, author, and follower of Jesus Christ. She is the founder of Hebrews 12 Endurance where she encourages women to know God, know themselves and run their race. She is the author of the books How to Find Your Gratitude Attitude and Through God’s Eyes: Marriage Lessons for Women. Abigail Harder is a girl, who loves the Lord with all her heart. She also loves to read, write, and blog. She enjoys reading Christian books of any time and the occasional general market YA. 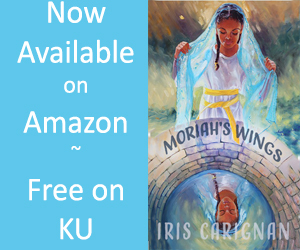 She hopes that through her reviews, that she will help other Christians to find new authors and books to love. Melissa Henderson and her husband Alan live in coastal South Carolina. Melissa was taught the love of reading and writing at an early age by her parents. Melissa continues to write inspirational stories and enjoys sharing messages on her blog. She has been published in numerous articles and devotionals. Her first children’s book “Licky the Lizard” was published in 2018. My name is Kathryn and here are a few things about me: I have a God-given passion for books and absolutely love sharing about books with others. I started my blog, Changed by Christ, in 2017 and on it, I share about two of my major passions, books (of course!) and God and how He has and still is changing me and working in me. When I'm not reading, I love to create word pictures that proclaim the glory of God, get outside and spend time with my dogs, and play the flute until m heart's content. My name is Kathryn Lindsey. I am an avid reader, theatre lover, and crazy cat mom. Due to my irrevocable love for reading I knew I needed to find a job that would allow me to spend time reading. After pursuing work in the theatre, I began teaching high school English. I love that I get to pass on the passion for literature to the next generation. Another way I do that is through my blog where I have a platform to voice my opinion about the stories I am reading. My love for books began early- my mother used to joke that I had to get glasses so young because I constantly had my nose pressed against the pages of a fictional world. I have always been attracted to Christian fiction because readers can enjoy clean content without sacrificing quality. I think the best part of getting more involved in the Christian fiction community is connecting with authors and learning more about their passion for writing. I am excited to continue to be able to use my favorite hobby to promote their hard work! I have a master’s degree in Humanities with an emphasis in Children’s Literature and a NM teaching certificate with a Library Media Endorsement. I am the school librarian at Mesilla Valley Christian School (a k-12 school) in Las Cruces, NM. I previously taught Children’s Literature courses at Dona Ana Community College. Before moving to Las Cruces, I was the librarian at a mission school on the Navajo reservation. I am the wife of David and the mother of 3 grown children. I love Jesus and I love to read. My name is Rachel and I live in Virginia with my husband and 2 boys. I have been a book blogger for several years and mostly read Christian fiction, self help, non fiction, and health & wellness books. I am very active on my blog and social media, especially Instagram. I am also a certified Master Level Walk15 group fitness instructor, wellness advocate with Young Living Essential Oils, and a volunteer literacy advocate with Star City Reads. Gina Holder is a stay-at-home, homeschooling Mom. She's loved reading for a long as she can remember. As a child, she and her sister brought a laundry basket to the library to carry all their books. Gina always dreamed of becoming an author and that dream became a reality August 2017, when she released her debut historical fiction novel, Whither Shall I Go. Gina lives in southern Kentucky with her husband, daughter, and two cats. Shirley Crowder is a missionary kid who was born in Nigeria, West Africa. She has a passion for disciple-making and loves to share about her spiritual children and grandchildren who are scattered across the world serving the Lord. She is a biblical counselor; co-host of "Think on These Things," a Birmingham Alabama radio/TV program for women; and a freelance writer. Shirley is commissioned by, and serves on the national Advisory Committee for, The Addiction Connection. She is published as an author, co-author, and contributing author in books and publications. Caitlyn Santi is a follower of Christ, indie author of Christian Fiction, blogger, and avid reader. She loves to encourage authors and help to spread the word about fabulous Christian books. Life According to Stephanie. Trying to have a life in the entertainment business while dealing with Reflex Sympathetic Dystrophy (CRPS), Rheumatoid Arthritis, Heart problems, Gastroparesis, and Celiac Disease. I hope my blog inspires you to live your life to its fullest potential. Hi! I enjoy reading, always have since I was a child and love "discovering" new authors! I am married and have two children whom are lots of fun to spend time with (ages 8 and 10!). Also, I work full-time outside of the home as well as a social worker with at-risk children and their families. Reading is a nice escape for me as everyday life and issues that arise with work can be trying! I am excited to be a part of this group and looking forward to the books that I will "discover" and read through this! Although she looks young, mpbooks will have been book blogging for two years this December. Her favorite kinds of books are Fantasy and Sci-Fi but she will read anything from The Brothers Karamazov to the labels on the backs of shampoo bottles. As a Christian and as someone with an English degree with a concentration in British and American literature, I have always had a profound love of reading. In contemporary society, Christian books tend to be marginalized, and I want to help shine light on them by doing what I love—reading and reviewing. Hi, I am Michelle, of middle age and a committed Christian. I am married to a wonderful Christian man & my best friend ever, in the world. We live in the Peachy state of GA. I Love to try new recipes, read novels, crochet, and spend time with my family. My blog is mainly reviews of new Christian books. I am first and foremost a child of the one true king, a follower of Jesus Christ, who lavishes His love on me! I am mama to 3 girls, who loves to play the piano, read all sorts of books, create art, cook & bake, decorate cake, and did I mention I like to read?! I dabble in a lot of things. I even speak, read & write Japanese. I am an introvert at heart but am no shy introvert. God is doing amazing things in my life and I can't wait to share! I have always loved reading and writing since I was a little girl, and that love has grown by leaps and bounds over the past years. I spend a lot of my time reading, favorite genres are: historical fiction, historical romance and mysteries, and some suspense fiction. The same genres go for my writing! When I am not reading or writing, you can always find me outside. Snowboarding during the winter and kayaking in the summer! I love talking about books and helping people find their new favorite book! Currently, Kelly Bridgewater is a reviewer at her blog and Just Read tours to promote authors' work. In the past, she reviewed for BookTalk and Fiction411 and was the Assistant Editor and Featured Fiction Reviewer at The Christian Manifesto. She is an active member of ACFW and holds a Bachelor’s and a Master's degree in English with an emphasis on Writing from Indiana State University where she taught English Composition. She has been published in the Indiana State University Literary Journal, Allusions with two short stories. She resides in Indiana with her happy family. Married to her college sweetheart for twenty years, Elisabeth carries a book with her wherever she goes! Nothing thrills her heart more than a rainy day, a hot cup of tea, and a good book. She believes language and written words are truly a gift from God reflecting his creativity and goodness. When not reading, reviewing, or talking about books with anyone willing to listen, she keeps herself busy homeschooling her four kids, baking sweet treats, practicing her fitness kickboxing skills, and collecting vintage milk glass. I am a wife and homeschooling mother of four. We recently graduated our first child from high school. Reading, reviewing, and sharing about Christian fiction is a favorite pastime of mine. In addition to all things reading related, I love spending time with my family, especially playing board games, watching movies, and making smores in the backyard. As a reader, I love the feeling of discovering a beautiful story that reaches deep into my soul and points me toward Jesus. My name is Nyla Kay Wilkerson, Woman of Faith, Prayer Warrior, Child of God, I review books, products, write a Christian blog (abbasprayerwarriorprincess@wordpress), and am a co-blogger on HeartWings (HeartWings.com). Writing a novel, published one family cookbook and working on second. I am Senior Consultant with Pampered Chef. Southern Indiana is home with my hubby and two furbabies, a Siamese and Pekeapoo. One son, one daughter, twin granddaughters, and two grandboys. The younger one is special needs. I cannot begin to explain how he has blessed us. Proud? You betcha! I'm Julie. 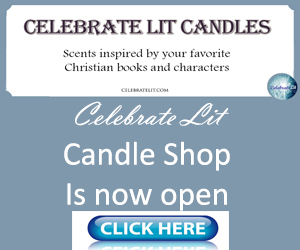 A Jesus follower, Christian fiction author, reviewer & blogger from S.W. Missouri. I love art, photography, visiting antique stores and traveling the U.S. with our camp trailer. I've been married 28 years and have four grown daughters, six grandchildren, and two great-grandchildren. Kathleen Denly, a historical Christian romance author, writes stories to entertain, encourage, and inspire readers toward a better understanding of our amazing God and how He sees us. When not working on her own stories, she loves spreading the word about great books she has read. She also shares history tidbits, thoughts on writing, author interviews, and more on her blog. She lives in sunny Southern California with her loving husband, four young children, and two cats. I started my blog, Christian Bookshelf Reviews, in 2011 and I’ve come to love sharing my thoughts on books I read. I review many different genres and I hope you find my reviews helpful. Dana is a blogger, writer, photographer, wife and proud Mother of four. She’s been an avid reader as long as she can remember. She enjoys helping others and sharing about great things through her blog at Luv’N Lambert Life. Mary Ann is a Christian, a pastor’s wife, mother, and grandmother. She has raised and homeschooled 10 children. Mary Ann loves to review books, her love of books started at an early age and hasn’t stopped. Mary Ann can be found making quilts at her sewing machine, in the great outdoors, leading a Bible Study, speaking at women’s events and retreats, in the kitchen cooking up a storm, traveling or with her nose into a good book. I am first and foremost a follower of the Living God. I have loved reading since I first learned. I like to read everything - from essays to poetry, technical journals to history books. Stories always have and always will fascinate me. Mysteries are among my very favorites, but is certainly not the only genre I read. Other than a reader, I am an author, and I believe that reading helps me learn how to better hone my craft, besides refreshing my mind, when I've drained its last drop of creativity. Besides all that, I am a nanny, I love children, being an auntie, my family and friends, singing, the piano, the mandolin, pretty books (to look at, as well as read! ), and studying. I have loved reading since I was a little girl. I am known for always having a book with me. My favorite genres are Christian fiction, Amish fiction, cozy mysteries, historical mysteries and historical fiction. When I am not busy reading I am taking care of my mother, my three dogs and seven cats. I like to loom knit and put together puzzles in my spare time. I started blogging four years ago to share my love of books with others. I hope I can help others find new books to read. I'm a stay-at-home mom of three. I love READING, photography and traveling with my family. I also crochet and sew. For the past nine years I've home schooled our three kids. This year I'm down to home schooling just two. I discovered the library when I was about twelve years old. I fell in love with books. Now that I'm older the books might have changed but I still love to read. Being able to share my love of reading with my kids is a special feeling. I have been an avid reader since birth. Books have always been my go-to to relax. I wear many hats: I am a wife, mother, sister, daughter, aunt, and teacher. I have been a wife for 6 years, a mother for 5, and a teacher for 14, and while I do love and appreciate my many positions, I definitely need my books at the end of the day. Reading, reviewing, and blogging is my passion. I love helping authors and publishers spread the word about amazing literature. Hello, I'm Megan. I am a home-schooled high schooler and I love it! I can't even remember not reading. When I was little my mom would read to me, she taught me to read when I was four and I haven't stopped since! I started this blog in hopes of helping you find clean, Christian books for you and your family. I look forward to sharing my reviews with you and would love to know what you think! I am just a regular, chocolate loving, teenage girl who believes in “once upon a times” and “happily ever afters.” Most days you can find me reading, writing, baking, dreaming, painting my nails fancy colors, and taking photos. Sometimes, in the middle of a conversation I just drop off the planet of earth because I suddenly had an idea for a story. I love creating things–from desserts, to stories, to pictures. I dream day in and out about everything from my own Prince Charming to the color I should paint my nails next. Reading is a huge passion of Jeanette's (aka JaneReads). She is known by friends to always have a book on the go, one ends another begins. By day she is a Business Manager for a charitable organization and majority of her free time is spent engrossed in a book. With encouragement from her bff to start a blog, she took the plunge earlier this year and has discovered new authors and connected with new reader friends along the journey. She looks forward to seeing what stories are to yet to come. Trisha discovered a love of books at a young age. Growing up in Appalachia, stories have always played a central role. As a devourer of historical Christian fiction, Christian Romance, and Cozy Mysteries. She finds joy in sharing the love of the stories she reads with others. She loves her family and spending quiet time with God. When she’s not busy taking care of her family, or at work, you can find Trisha curled up with a hot beverage and a good book, traveling to historic locations, and making new friends. Trisha enjoys connecting with authors and readers alike and aspires to one-day publish her own stories. I’m Rosalyn, from central Ohio. I love to read, some might say I’m just a bit addicted! (Some of my best, early childhood memories involve books, and I’ve been hooked since!) I’m married to my best friend, Ervin, going on 17 years, and we have four beautiful daughters, ages 15 down to 9. They are my life! My highest goal in life is following Jesus and being an example to our girls, that they might desire following Him too. I work from home, and read books in any spare minute I find. I have always loved books. I remember making up stories to go with the pictures in my books before I could read. Apart from being a bookworm, I am also a wife to Steve, my high school sweetheart, and mom to a teenage son and preteen daughter. I work part time as an Occupational Therapy Assistant in schools. My job is amazing and I am truly blessed to have it. Last, but definitely not least, I am a follower of Jesus. He has changed my life in so many ways. I’ve been addicted to reading since I was 14. I have many interests and my blogging will cover them also, thus the blog title “Multifarious”. My interests relate to creativity. Pottery is my number one love. Also, doing illustration work, textile design, crocheting, paper craft and other crafts. I’m learning website design and WordPress theme building. I am also skilled in administrative work and am looking to work at home as a virtual assistant and/or helping people with creative projects. I am Sherry at My Journey Back. I have been blogging there since 2007. I love the blogging community. I am a Christian wife, mother and grandmother. I blog about all that. And about books I read. I live in Texas with my Cowboy husband (we are retired ranchers). We've been married a looong time! He was my high school sweetheart. I am a retired preschool teacher. I currently clean houses. Yes. I do and I love it! I write about that too! I love reading. I really love reviewing. And I love interviewing authors. My other passions/hobbies are gardening, animals, making quilts, cooking and homemaking. Boma believes that life is a gift, and that we have a duty to be responsible with this gift we've been blessed with. She hopes everyone who reads her writing finds encouragement to continue to carry out this duty. I am retired, and a homebody. I have been married to my husband Rickie for 39 years. We have one daughter that lives in a different state than us and she has twin boys. As you can see from my picture that I love dogs, my favorite is pugs. I love reading and reviewing books, especially Christian Fiction. Besides reading I enjoy playing games on the iPad, like candy crush and gummy drop. Mom of 3, two adults and one teen, wife to one of almost 20 years and living in beautiful Big Sky Country Montana. Proud Air Force Mama, homeschooling since 2004, passionate about Faith, Fitness, Health, Homeschooling, Reading, Blogging, Organizing, DIY Projects, making healthy recipes and cuddling with my baby Rosie, our mini dachshund. Esther Filbrun is a young woman living in New Zealand with her seven siblings who loves the Lord and loves her books. She has a passion for enriching families with great reading material—not just passable—and along with her mom runs a book reviews site to help families find new favorite reads. She blogs at Purposeful Learning. I am a Jesus follower, wife, and avid reader. I am a former Children's librarian. I also love cats, tea, flowers, missions, eating fairly healthy and Young Living essential oils. My favorite time periods to read about are medieval, Tudor, Regency and Victorian. I have been reviewing for about five years now and figure it’s time to start my own blog. I’m excited to share the books I’ve read with you and welcome all and any comments. I try to post every day and lately I have been holding a book of your choice giveaway every month. But please be nice this is my first time!! Thanks!! Anyone who knows me can name 4 areas that interest me: Books, because I’m hardly ever seen without one, not since I learned to read at age 4; Piano, because I constantly have a song flowing through my soul; Kids, because I’m studying to be a teacher at BJU; and most especially I love Jesus. I love getting to read and review Christian Fiction and see the truths of the Bible playing across the pages, and hope that my blog can be an encouragement to someone today. Hello, I'm Melissa, sahm to Donovan 16, Dalton 15, Emily 12, Devon 10, Maggie 2 and Elijah 10 months and wife of almost 18 years to my hubby Eric. I am an avid reader, gardener and chicken wrangler. I enjoy the simple things in life, like homesteading is simple, right? I love to read about other large families, gardening, homesteading, Amish and self improvement. I'm so excited to have the opportunity to join this great team. Below is the direct link to my Youtube channel Six Times Blessed, where I share our lives as a large family. I'm a 25 (almost 26) year old, missionary daughter, currently ministering with my family in the Middle East. I have grown up most of my life overseas, having lived parts of my life in Paraguay, South America, Albania, Eastern Europe, Mozambique, Africa, and when I'm in the good ol' USA I reside in the wonderful state of Mississippi. I'm the 6th of 7 children, and I also have 14 amazing nieces and nephews. I came to faith in Jesus Christ at the age of 5, and daily seek to draw closer to Him, so that others may see Jesus in me and may either be encouraged in their spiritual walk, or seek to know the Savior that has wrought such a work in my life. Beth Erin is a Christian fiction enthusiast, book reviewer, and blogger. She strives to edify and connect with readers and authors through her blog and on social media. Beth is passionate about promoting authors and their entertaining, encouraging, and redemptive stories. Barbara Brutt practices the art of adventure, whether traveling, reading, or flying (circus aerialist). She believes words heal. Barbara adores ice cream and only buys purses that provide room for a book or two. I'm a sweet tea addicted mamma who loves to cuddle up to a good book. I enjoy gardening and playing with my kids. I write about homeschooling, having a special needs child, and about whatever else tickles my fancy. I love the Lord with all my heart! I am a professional editor and reviewer, and books have always been a significant part of my life. In addition to my blog, I review for RT Bookreviews Magazine and Publisher’s Weekly. My lifelong love of reading and learning led me into the publishing industry. Editing and reviewing are not merely jobs. They are my passions. I aim to provide an honest review and do all I can to promote the author and their work. I want to help readers obtain books that will entertain, educate, inform, and inspire them. Lisa avid reader and lover of books. She is married to her wonderful husband John and together they raise their four sons. Amanda Tero is a homeschool graduate who enjoys reading, writing, music, photography, graphics design, being with her big family (11 siblings), and sharing God's Word. Her blog is a collaboration of all of these interests where she hopes to encourage the readers in their walk with the Lord. I am from a small town in Southeast Texas that isn't known by very many people. Currently I teach at a local private school, and blog in my spare time. One thing that has always been known around my friends and family is that I love to read! I learned to read at the age of four and ever since I haven't been seen without a book in my hands. I first got into the fun of reviewing books when I realized that I wanted to share my love, and in short, try to encourage others to read as well, I hope we can all get to know one another well and become great friends. Redeemed hope dweller. Wife of the ‘perfect for me’ man God brought into my life. Homeschool mom to 6 kiddos (with one on the way :) ). Book lover. Blogger. Also known as Small Feisty Woman. Tanya M. Saldana lives in Southern California with her husband, Antoine Cook, and German Shepherd, Scout. A relatively new blogger, Tanya loves to share life lessons and encourage all to fulfill their Godly purpose. She is also an author, playwright, and an internet radio show host. She believes no matter what happens, we should focus on God and keep moving forward. Becky is 24 years old. Shortly after graduating from Trinity College of Florida, she had the privilege of being on a street team for one of her favorite authors by helping promote her new release. She enjoyed learning about different ways to promote the book. Reading has always been a passion of hers and she enjoys blogging about well known and new-to-me-authors and helping promote their books in any way that she can. She currently lives in Florida with her two dogs, Sunni and Storm. She also loves God, chocolate, and the beach. I'm a glasses wearing geek girl who loves to read. I love my collies Coco and Toby, and I'm *slightly* addicted to antiques, British TV, flip flops, boots, bicycling, Netflix, and baking sweets and treats. Jodie Wolfe got bitten by the writing bug as a young girl after reading and watching Little House on the Prairie. 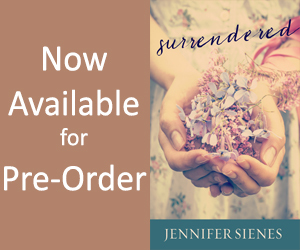 She loves writing stories about feisty heroines and strong, godly heroes. The power of story to influence lives and change hearts is what motivates her to weave tales that tell of the Savior’s faithfulness and forgiveness. Her books provide history, hope, laughter and happily-ever-after. When not writing she enjoys spending time with her husband, reading, walking and being a Grammie. Avid reader who loves to bake, bowl and bird watch. Wife and mother of a thirteen year old daughter who keeps me on my toes. I just entered the book review world last year and I absolutely love it! Ever since I was a child, I have loved to read and write on a variety of topics because I love to learn! Reading a plethora of varieties of Christian fiction is one of my main sources of enjoyment because it combines exciting literature with a Christian purpose! Personally, I am a nurse but love taking care of my husband, pug mix puppy, and home as well. Jesus Christ is my Lord and Savior and I have a daily walk with Him. I hope that my reviews will help you to find similar enjoyment in exciting Christian fiction! I am wife to an awesome husband, a mom to two special needs children, a Great Dane, and three cats. I love to read, homeschool, garden and am trying to figure out what happens to the extra socks that disappear in my dryer! Becky is a thirty-something single girl from small town Nebraska. She’s been a voracious reader ever since the moment she realized c-a-t spelled “cat.” By day, she teaches journalism and manages the website and social media accounts for a Christian high school. By night, she reads, blogs, experiments with gluten free baking, and binge watches ’90s TV shows. Becky has been blogging at Christian Chick's Thoughts since 2008. Author bio: Alexis A. Goring is a writer at heart and a journalist by profession. She loves the art of storytelling and is especially delighted to have released her first book, an inspirational romance novella called Hope in My Heart: A Collection of Heartwarming Stories, in Sept. 2013. When Alexis is not working on her next book or chasing down the next big story for the newspaper where she works as a freelance reporter, she listens to music, enjoys the food in cafes/restaurants, shops at her favorite malls and spends quality time with loved ones. Denise lives with her husband in Indianapolis. Denise works at a bank and loves to read, write book reviews, speak Spanish, and do volunteer work. Hi! I'm Chastity Ray. I'm a homeschool mommy of 3 and a self professed book nerd. In my free time I love to read and share my love of books with others. Pamela is obsessed with books, even going so far as to major in History and English in college. She loves to travel and has seen kangaroos at sunrise during a hot-air balloon safari in the Australian Outback, worked at a bed and breakfast in Ireland and was once filmed with her family by a French television crew for a news segment on tacky Parisian tourist shops. She enjoys reading cookbooks, but hates to cook. She lives with her family in the beautiful Pacific Northwest. She blogs at www.lavishbookshelf.com. Adventures in Writing & Reviewing! I am a stay at home mom who LOVES to read. I enjoy good (clean) books of all kinds. However, I have a soft spot for historical fiction. I do not claim to be a writer. I simply wish to share the books that I read with others. Because finding a good book to read is not always easy. My opinion is mine and mine alone. My husband and 2 beautiful children are my life and joy. Among the 500 things I do a day, I somehow still find time to read. My name is Julia and I have been married to David since 1985. We have four children, three are married and we have two granddaughters. We live with our five cats in Bewdley, Worcestershire, England. I had to give up work in December 2015 due to struggling to manage my M.E. I worked as a TA for special needs 11-18yrs. I now have even more time for reading and writing reviews. I like Christian fiction best but do read mass market too. I do not have enough book cases for all my books!! Sarah Ruut is an avid reader who loves sharing about books and their authors on her blog. You’ll find devotionals as well as reviews of Christian fiction, interviews with amazing authors, giveaways and more at sarahruut.com. You can also connect with Sarah on Facebook, Twitter, Pinterest and Goodreads. If you are looking for your next good read or a good read for your children, look no further. My blog specializes in book and product reviews. My name is Jamie. I've been devouring books since I learned how to read. In high school I became passionate about specifically Christian Fiction. I recognize the power of story to communicate truth in an engaging way that can change lives and draw readers closer to Christ. I use my blogs to get knowledge of powerful stories into the hands of readers. My favorite authors are Nancy Rue, Michael Phillips and Robin Jones Gunn. I love to read and am a prolific and avid reader. I also enjoy reviewing books, I feel this is a great way to say "Thank you!" to the authors. My husband and I have raised 3 wonderful children and a grandchild. We've managed to reduce our huge menagerie of animals down to one; our granddaughters cat. My family, home and God mean everything to me. I was born in Georgia but have lived all over the US. Though I currently live in Alabama, I consider myself a Texalina (Texas/Carolina) girl! I am a retired Christian bookstore owner of 33 years. I still love to read books and share my reviews with others. With degrees in physics and theology, I have a unique perspective for reviewing nonfiction books. I review for several publishers and publicity groups. We are Cathy and Kristi, two gals who love to read. Cathy and I met when we were both picked to be on a street team. We struck up an instant friendship and the fact that Cathy is in Maryland and I am in Indiana doesn't make a difference. We can spend hours on the phone then jump over to the internet and talk for hours more. We love to discuss the books we read, some are the same and a lot are different. It was only natural that we started a blog together to spread the word about the books we love. Sydney has loved books and reading from a young age. She is librarian, an avid reader, and a huge advocate of literacy. In her quest to support literacy, Sydney operates her book review blog/site and runs SLB Tours. Sydney also enjoys music and runs her own private voice studio. Please connect with Sydney by following one or all of her blogs, as well as Facebook, Twitter, and Pinterest. I have always loved reading, and I am fascinated with the writing/publishing process. I love being able to connect with authors through today's technology & social media. I blog to promote authors and share great books with the world. I am married with three children, whom I home school. Before children, I was a Christian School teacher. Now I am a children's librarian, with a desire to foster a love of reading in the young people of our Virginia community. I am a book addict. But more importantly I am a wife and mother and grandmother! I started this blog to help authors and share their books! If you want to know more about me just ask, I think I am a friendly person, and others have said my smile is my best feature! If you want to know what books I read, there are on my blog, and if you want to share fantastic books with me, I’m always looking for new books to read and new authors to become a fan of. Annie loves many things, her family, her friends and of course our Lord Jesus! She also loves food, design, style, fashion, travel and most dearly, books. A widely known, book nerd, she love how different books transport her to a world of unknown, evoking different types of emotions and feelings. As a retired elementary school teacher specializing in literacy, books have always been my BEST friends. After retiring, I was advised by an author friend to start reviewing books for other authors. A blog just seemed to be the next step! I have since, met many of my favorite writers and loved spending time with them. I am the wife of a very patient man who encourages me to pursue my hobbies of reading, painting, knitting and quilting! Our daughter , an RN will be presenting us with our first grandson in January. God is good!